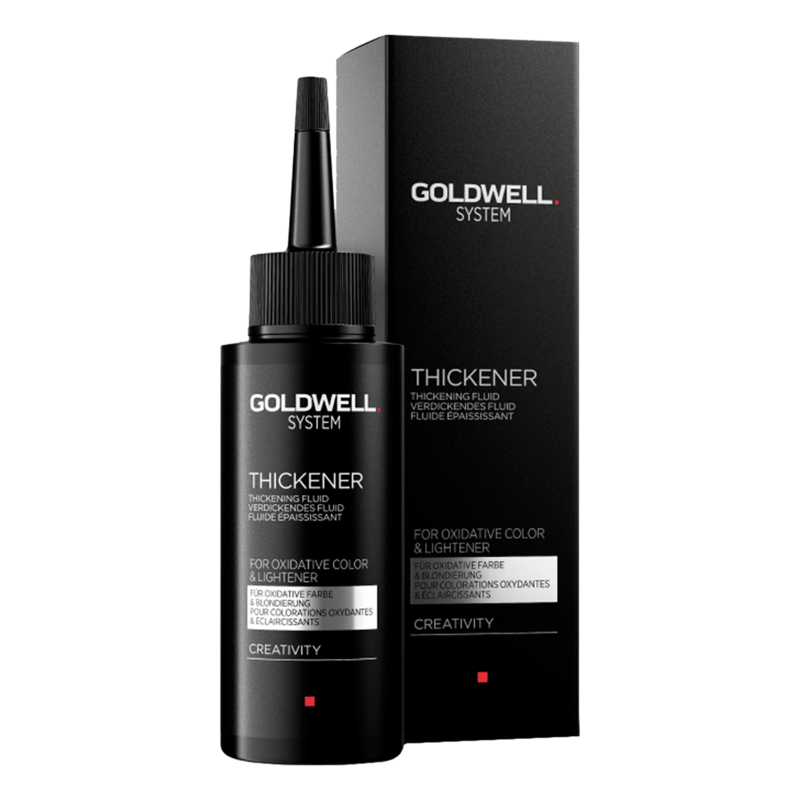 Goldwell Thickener is a concentrated fluid that empowers you to control and customize the consistency of your working mass — easily and intuitively – without affecting product performance or results. - A concentrated Thickening Fluid that empowers you to control and customize the consistency of your color and lightener products. - Works with Topchic, Nectaya, Colorance, SilkLift, SilkLift Control, Oxycur and New Blonde. - Whatever consistency you choose, all colors stay true to tone while the processing time remains the same. Hydroxyethyl Acrylate/Sodium Acry- loyldimethyl Taurate Copolymer, Hydrogenated Poly- isobutene, PEG-9, Dimethicone, Water / Aqua / Eau, PEG-7 Trimethylolpropane Coconaut Ether, Sorbitan Isostearate.